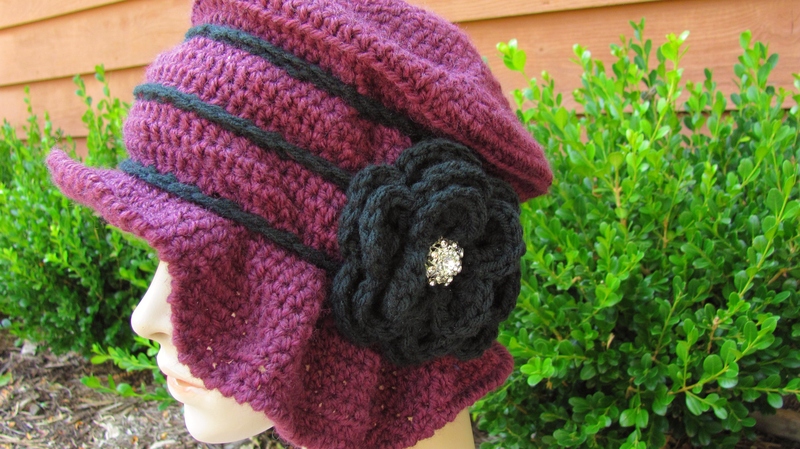 New Crochet Cloche… The Sadie! Out of my sketch book and on to my hook! This weekend my first dream hat pattern came to life… I’m calling it Sadie (A turn of the century family name),,, Sadie is a 1920’s inspired Cloche… In honor of my Grandmother, Beatrice Ryan Ramshaw! I dream of her wearing something like this as a young woman to a party or dance… And the colors,,, A Sea Spray Blue… This floods back memories of her,,, She drove a 1970 Sea Spray Colored Cadillac… Some of the best childhood memories were with her driving and my cousin and I sliding across the back seats of that Cadillac,,, Power window and plenty of room for my cousin and I to have tons of girl fun while driving through town with Bea!!! And who could pass up a purple hat… My favorite color as a girl,,, And of course she painted my childhood room for me in a great shade of purple! I hope you all love this hat,,, The finished hats are now for sale at my Etsy Store… And I am now finalizing the pattern for you crocheter’s who would like to crochet one for yourselves… The pattern should be available later this week at my Etsy Shop and my Ravelry Shop! Both Shops are available on the sidebar of this blog…. 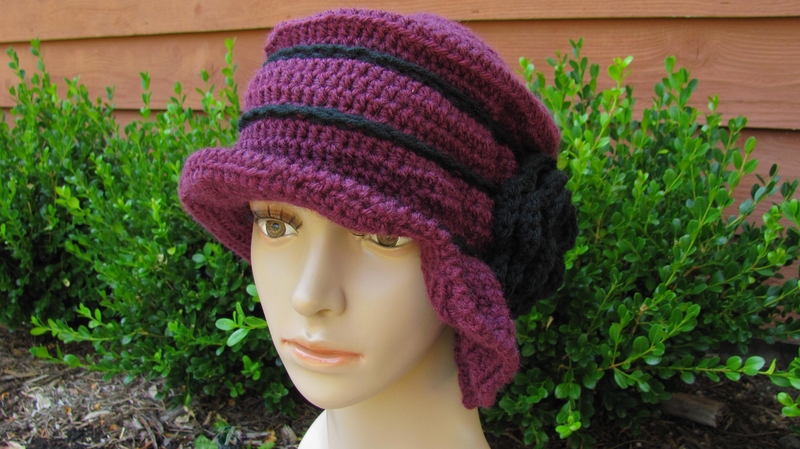 I would love to hear what you think about this hat pattern! Leave me a comment! So here is to Sadie, My Grandmother and Designing Hats! I absolutely love the look of this hat! So elegant and classy Elena! I hope your dream comes true with this hat and it goes viral! Totally awesome hat! It is such a classy, period style! Well done. Thank you so much! And thanks for stopping by!! Hat is very pretty and I would love the pattern. 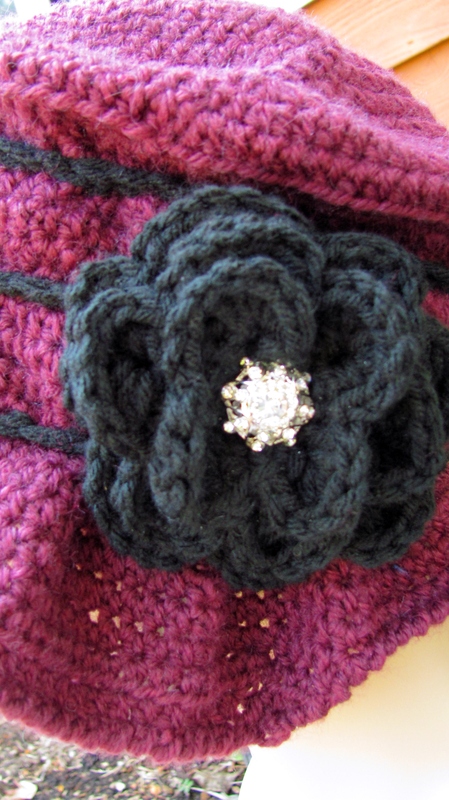 I will post when the pattern is released… I am getting it to my tester now and finalizing it… Thank you!! This reminds me of velveteen hats I’ve seen in old family photos. Really cute! Thank you again! I cant wait to release this pattern… It is alot of fun! Love this hat. Want to make one for my step-daughter who is on chemo. was this pattern every released ? can i buy it somewhere ? It hasn’t been released… But a version of it is coming out very soon! !